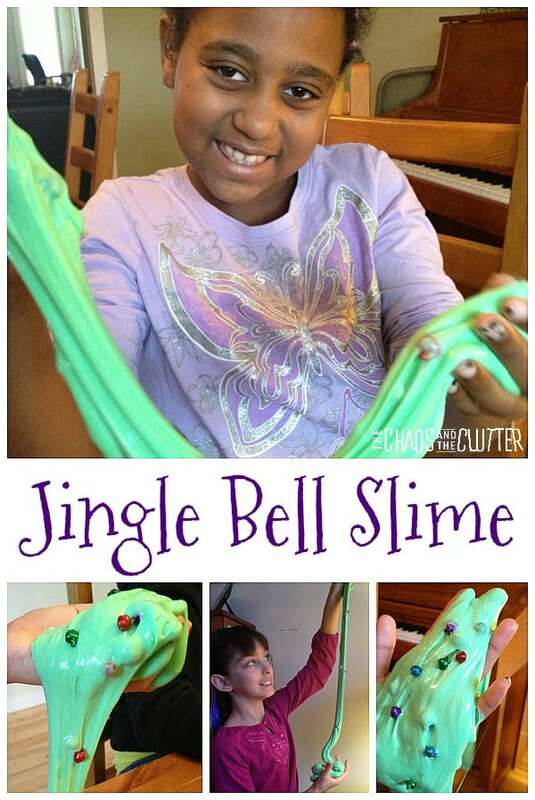 This Jingle Bell Slime is one of the first slimes we ever made. 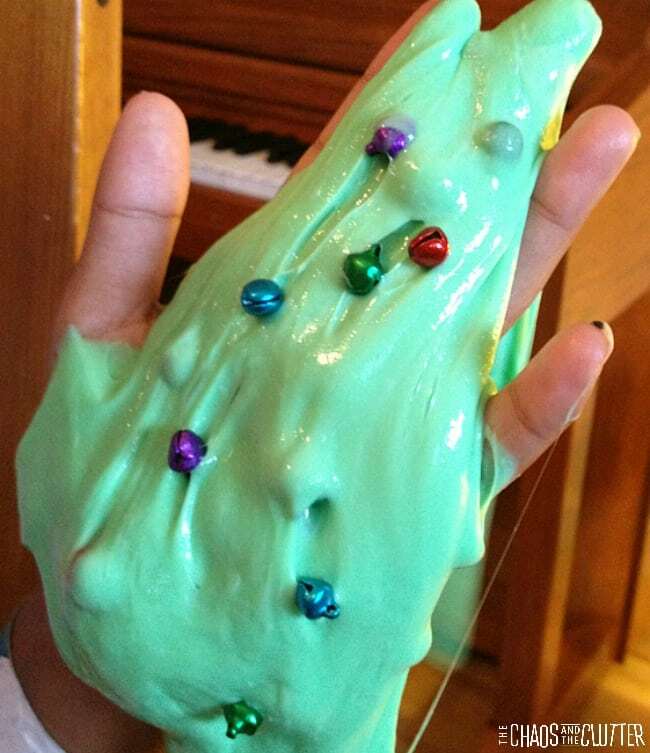 It’s a pretty basic slime recipe, but the holiday twist makes it extra fun. 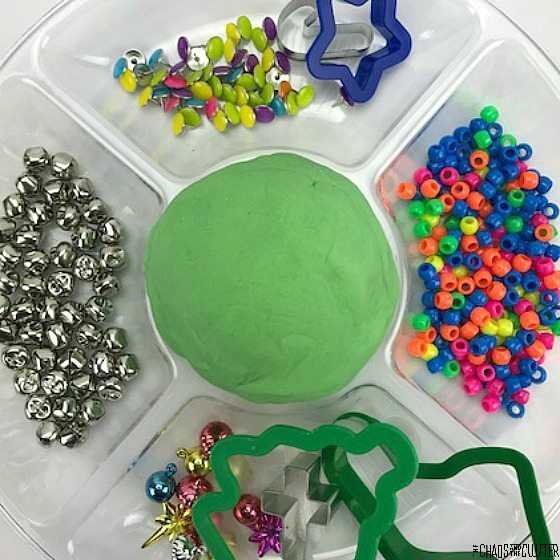 We love trying out all different kinds of slime recipes. 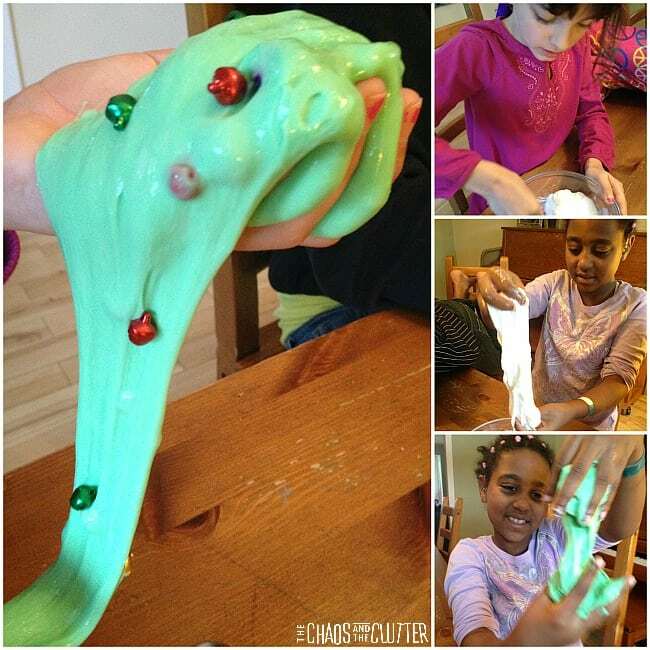 When I came up with the idea to make holiday theme slime, the kids were all in! When I was out shopping for the ingredients (a very short list! ), I had trouble locating liquid starch. I googled “where to find liquid starch in Canada” on my phone while in the laundry aisle at the grocery store and found an awesome article. She writes about an alternative to liquid starch for those who live in places where it is hard to find. *Important note: don’t bother trying to make slime with cheaper glues. Elmer’s is the most consistently reliable when it comes to slime success, so just stick with that. 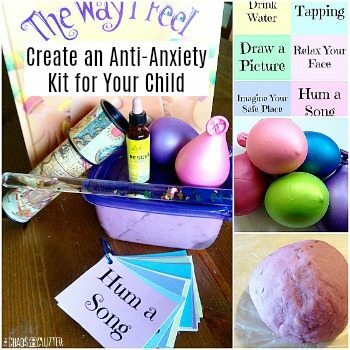 Pour the glue into a bowl. Add some drops of green food colouring and mix it well. With slime, I like to use wide craft sticks for mixing so that I can throw them out after. Add some liquid starch into the glue mixture about a Tablespoon at a time while stirring. Continue to add liquid starch until the slime doesn’t stick to the side of the bowl. This will be about 1/2 cup total, but may be a little less or a little more. Once it’s pulling away from the sides and forming a bit of a ball, knead it by hand to finish mixing. 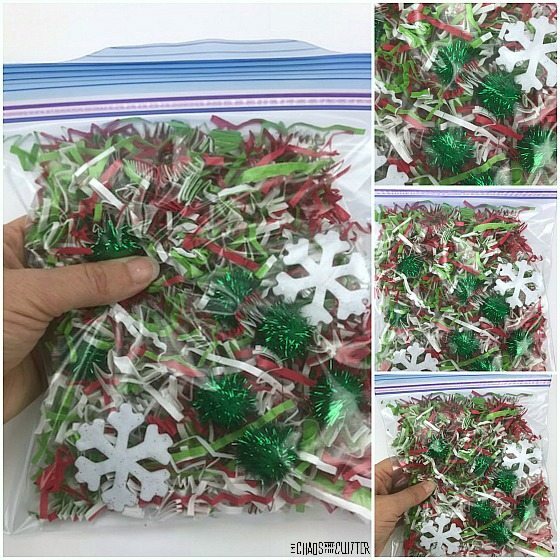 Once it’s been stretched and pulled and pushed and folded until it has reached slime consistency, add in some jingle bells and start playing. It adds a bit of difference and texture interest if you use different sizes of jingle bells. When the slime isn’t being played with, store it in an airtight container. If you’re a “slime mama”, chances are all of your Tupperware containers are full of slime already so in a pinch, a resealable plastic bag will do. Once they made this discovery, there was a lot of laughter going on at our house! I had to tape this short video five or six times because the other kids were laughing so hard that it was impossible to hear the noise of the putty! 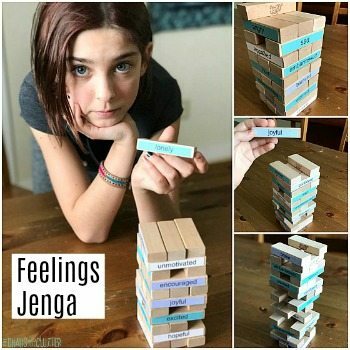 Looks like a great book for keeping kids busy! 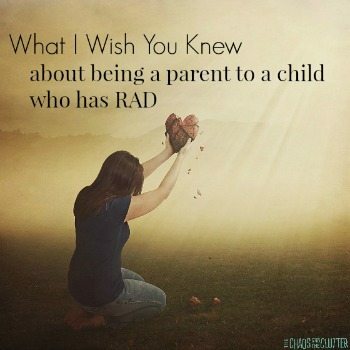 Thanks for sharing with the Happy Holidays Link Party!